Hoenn Pokemon Reach New Heights! Get ready for Hoenn power, EX style! 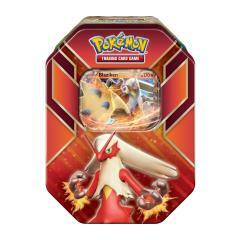 Evolve your skills and expand your collection with the Pokemon Trading Card Game: Hoenn Power Tin, because each of these collector's tins contains one of the most famous Pokemon-EX in all of the Hoenn region.